Many businesses are unaware of the alternative to bins and skips, which are seen in the eyes of the public as the generic way to dispose of all waste types. 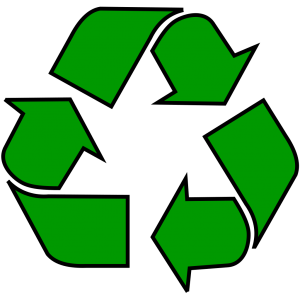 Many waste types are recyclable and are therefore not required to enter bins and skips. The other way to dispose of recyclables is through a baler, which results in recyclers collecting the waste as opposed to waste management businesses. 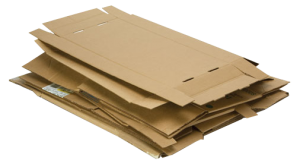 The most common recyclable that businesses produce is cardboard. Many still bin their cardboard, which is inefficient and expensive. Using a cardboard baler on the other hand results in the opposite effect. This machine is an excellent space saver, lowers labour time and decreases the cost of waste cardboard. Once staff are trained to use the cardboard baler competently, the process should run like clockwork and a much more efficient process should be in full flow. There are many necessary overheads in business and waste is unfortunately one of them. It is important for businesses to create themselves as little hassle as possible and make the waste handling process a smooth one; installing a cardboard baler will allow this to happen. 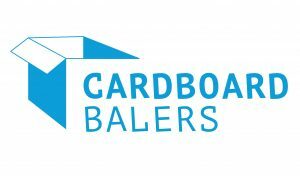 The cardboard baler market has a large variety of machines to suit the needs of all businesses. Big manufacturers, suppliers and recyclers for example are likely to need a big baler as their flow of cardboard is likely to be consistently high. Businesses like small retailers, pubs and restaurants will in all likelihood require a smaller cardboard baler because of space constraints and because their cardboard quantities will be lower. It is important to match the right cardboard baler to the right business, which is easy to do with a survey of the premises before installation. Lowering costs is normally the fundamental reason why a cardboard baler is used in the workplace. The baler replaces hefty cardboard wheelie bins as no more material needs to enter them. These bins cost money to rent and to have lifted by the waste management business that owns them. Straight away that is two regular spends disposed of. When waste management companies arrive to empty bins, a regular occurrence is that not all the bins are full. These companies will not lower their collection charges if a bin is quarter full so it turns into a consistent waste of money. Using a cardboard baler compacts all the material together and cardboard is recyclable so recyclers are always willing to collect the finished bales either for free in most cases or for a much lower charge than a bin collection. By reducing bin numbers, businesses are also increasing the amount of space in the yard where they are located. A cardboard baler will have the same footprint as just one of these bins and can be placed inside or outside in the most convenient location possible. By freeing up space, it makes life easier for staff to move around and if enough bins can be removed, the remaining space could be used for something like a furniture storage area. In this day and age, image is all important and having a number of bins in the public eye can be off-putting for customers. Having a neater and less crowded bin area will help to create a more positive image. The last of the three key benefits of having a cardboard baler as opposed to cardboard bins or skips is the time saving aspect. As mentioned in the last paragraph, a cardboard baler can be located in the most convenient of locations due to its small footprint. Placing the machine next to the source of the waste cardboard is always a great benefit and means very little walking for staff. With bins, their voluminous nature means they nearly always have to be located outside, which requires a short walk to dispose of cardboard. As well as this, a cardboard baler handles whole boxes with ease so there is no need to break the cardboard down to make the most of space, which is a necessity with bins. Ripping up and flat-packing cardboard is a tiresome and time consuming job, which nobody enjoys so a cardboard baler puts an end to this. Green credentials are another aspect of business that customers and government officials look at in the modern day. A green business is seen as ethical because they make the effort to help the environment. A cardboard baler is much greener than bins as it doesn’t cause a mess and the material is recycled rather than dealt with by waste management companies. Fewer bin collections also means less time on the road for bin lorries, which emit tons of carbon into the atmosphere each year.